Bernard is the Founder and CEO of The Camden Education Trust. He is the former director of Galway Education Centre, the Department of Education funded provider of training for primary and second level teachers. Bernard co-founded Africa Code Week, one of the largest digital literacy initiatives organised on the African continent, involving over 1.3 million young people in 35 countries in 2017, year 3 of the program. He is also co-founder of Refugee Code Week which involved the training of over 20,000 refugees in 4 countries in 2017. Since 2016, Bernard is Chairperson of Philanthropy Ireland. He is also a mentor for the Social Entrepreneurs Ireland Academy and a member of the Youth Education Fund Advisory Group for Social Innovation Fund Ireland. He also advises a number of philanthropic family foundations in relation to education. Bernard is a member of the Science Gallery Education Committee, a Science Gallery Emeritus Leonardo and Ashoka Change Nation – Change Leader. He is also an advisory board member of Changemaker Schools and The Digital Youth Council. He is also co-founder of EXCITED, the Digital Learning Movement. Bernard established Robotics Ireland in 2006 and since then has organised the FIRST LEGO League, Junior LEGO League and EA Robotics competitions in Ireland. In 2013 Bernard was awarded an Honorary Masters in Science by NUI Galway for his contribution to Education in Ireland. As a finance expert and a Chief Operations Officer working in the Corporate Social Responsibility (CSR) area at an EMEA level, Frank is involved in projects that are having a positive impact on the lives of people in Ireland, and internationally through his engagement in the Africa and Refugee Code Weeks. These projects are established to enable 1.5M children access coding initiatives, thus promoting the use of ICT (Information and Communication Technology) learning in Africa and the Middle East. As he previously worked in the Finance area, developing internal control policies as a Senior Finance Business partner and an Auditor with Deloitte, he has engaged 30% of his colleagues in volunteering activities, most of which were skilled. Frank supported during 3 years the SAP CSR EMEA Lead with the finance forecasts and the regional Donor Advised Funds spending and successfully lead projects to migrate subsidiaries to a Shared Service Organisation. Brendan Smith was course content developer and lead mentor in the ‘Africa Code Week’ and ‘Refugee Code Week’ initiatives. Brendan also serves as the Education and Public Engagement Officer of the Insight Centre for Data Analytics at the National University of Ireland Galway. He is co-founder of Ireland’s only computer and communications museum, has twice been recipient of the Galway Science Person of the Year Award, twice recipient of the IT in the Community Galway Award and was granted the ‘Galway City Mayoral Award for Volunteer of the Year’ in May 2017. He is also well known in Ireland for his social, community and environmental activism. Defining herself a proud #Millenial, Alice leads Communications for the Camden E ducation Trust. As it is her field of expertise, she oversees Social Media for Africa Code Week. She is in charge of EduConservation‘s communications, which she has been managing since the genesis of the project (2016). Mareth Kotze has a strong customer service background, thanks to the 10+ years she spent as a manager in the hospitality industry. 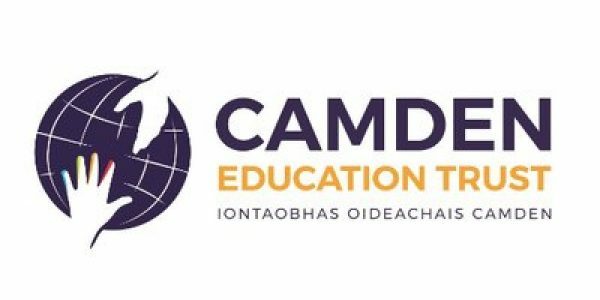 She started her journey with The Camden Education Trust in 2018 as a Project Manager for the EduConservation initiative, assisting the team with the logistics organisation. Mareth is now supporting the SAP Africa Code Week initiative in various aspects including logistics, communication, administration..